by two other larger injection molding machines, corresponding peripherals and the expansion of the cooling system. Likewise, in structural measures, such as the expansion of office, warehouse and production capacity. 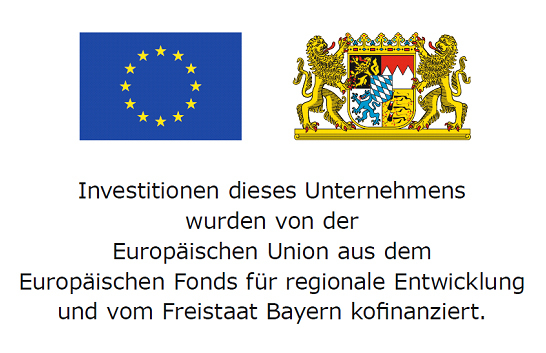 “Investment for growth and employment” Bayern supported 2014-2020.
structural measures, as well as machinery and equipment. Customer satisfaction is our highest corporate policy – and for that we work every day.